The biggest event of the year! 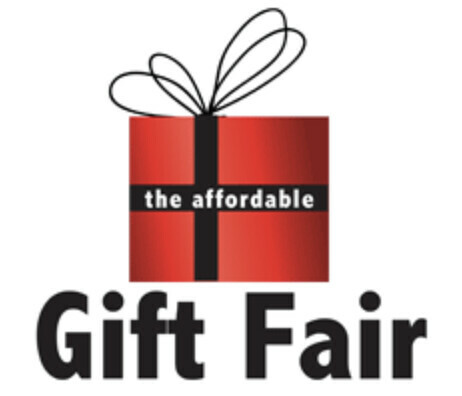 Gift Fair 2017. Over 60 Stands of Gifts. Christmas Shopping Galore. Our stand holders are hand picked, the standard is high as always and we are very excited about this event. 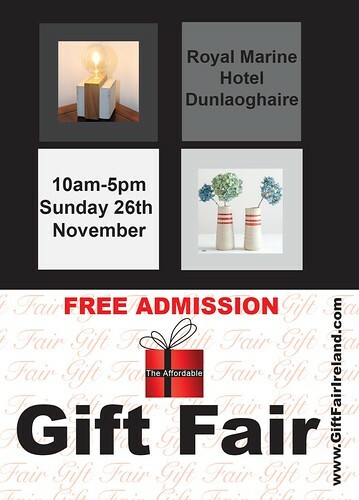 Gift Fair opens at 10am and runs until 5pm in the idillic venue that is the Royal Marine Hotel, Marine Road . This event has been running since 2011 and has proven to be one of the best. This is a free event and is family friendly so come along and bring the family. Charity raffle running throughout the day with over 40 prizes so far. Some donated from our amazing stand holders with a few dodgy prizes thrown in by myself. Hunks calendar anyone?? 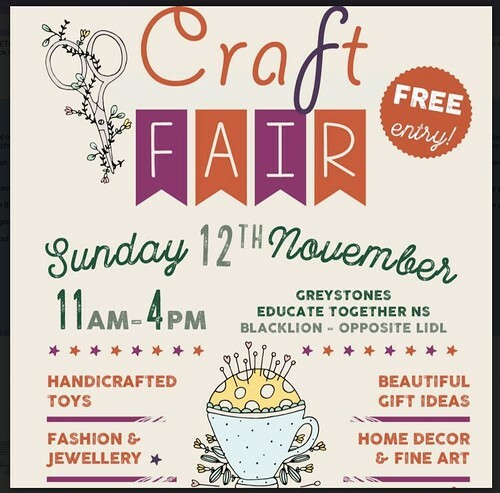 Please join Greystones Educate Together National School on Sunday November 12th, for the 6th annual Craft Fair. With now five years under our belt, we’re planning our best event to date. Vendors including local artists, artisans and craft people, will showcase quality and carefully selected, handmade products and delicious treats. There will be a children’s craft area, face painting, a nail station and more– fun for the entire family! With the café stocked to the brim with lovely cakes, cookies and savouries - the day is sure to be stellar! The organisers have put together an event that will be flush with unique stalls offering a variety of vendors selling handcrafted toys, stunning photography, fashion, home décor, wall art, natural beauty products and candles, accessories, unique jewellery, musical instruments, artisan food and many other exciting gift options. The “Make-and-Do Room” will host face painting, nail art and a fabulous all ages craft area. There is even a colouring competition with 2 grand prizes! We will also see the return of our successful pocket-money priced formerly owned book, toy & game sale that is sure to please every pint-sized patron. The fair, which is located in the GETNS primary school, in Blacklion, Greystones (opposite Lidl) will offer a café serving up tea, coffee and always delicious home baked creations, while visitors can take in a view of the sea. All stalls are booked and a waiting list is in order. 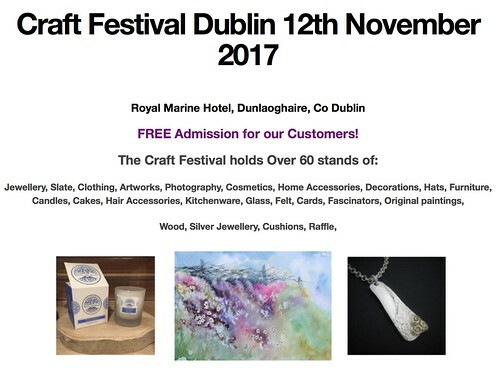 Sixth Annual Craft Fair takes place Sunday, 12th November, 2017. 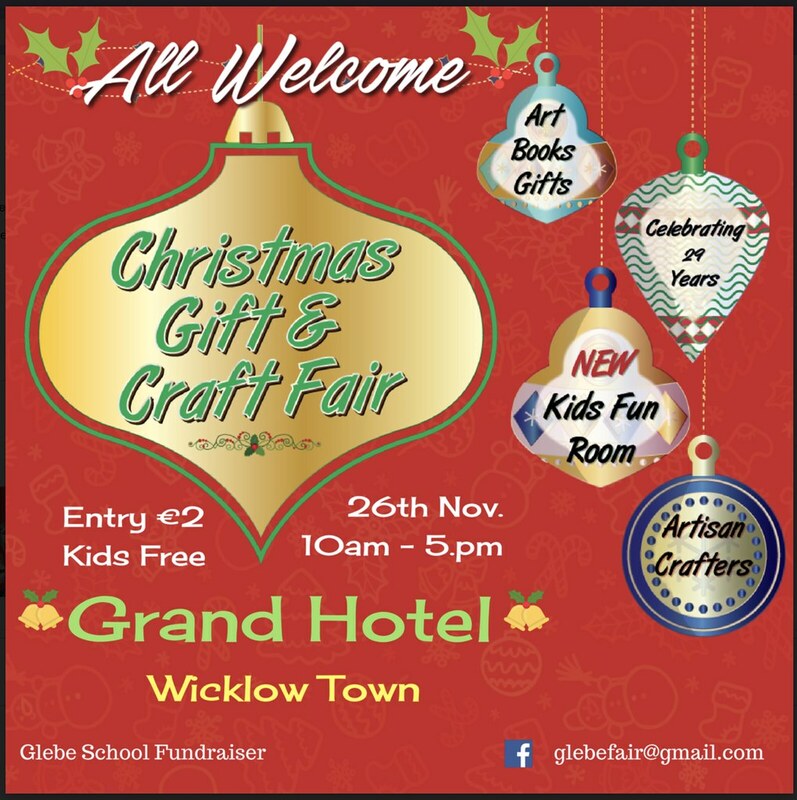 Calling all the best of Wicklow’s crafters !! Please submit only 3 JPGs and a description of your work. Ballinrobe Festival Country Market & Heritage Day -Sat 1st July 2017 - Cornmarket Ballinrobe. No charge for the pitch, donations if you wish to Festival Fund.